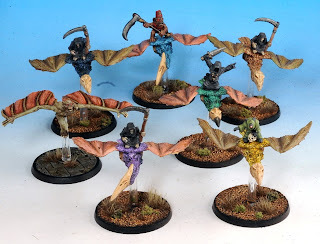 My next unit is wraiths. This one didn't quite meet my rough criteria of having 50% unpainted figures and there for getting a full repaint, but the figures them selves are pretty quick to paint, and the older ones were so dated and the difference was going to be so dramatic, that I decided to strip them and go for a full repaint anyway. Also, its fairly small over all, so it won't be too bad. Apparently in the new rules wraiths are now skirmisher. I contemplated rebasing them all on rounds but haven't bothered yet. We'll see if it bothers me by the time I'm ready to do the bases. Also the new stats allow for a leader upgrade, and that champion becomes a banshee. That works out well for me as one of the figures I had waiting to work into the unit was a spectre/banshee thing that I was going to just try and shoe horn in despite his lack of more traditional wraithy details. So now it becomes the banshee option, and alls well. 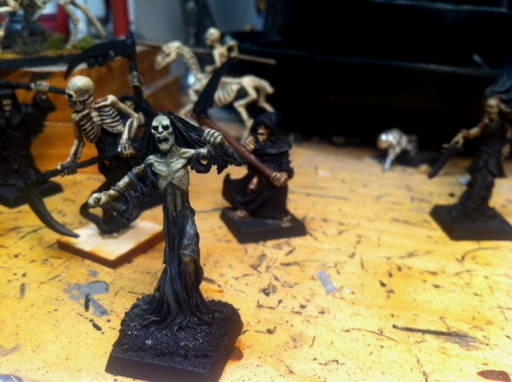 As I worked on it and the skeletal wraiths in the background last night I was further convinced that my plan to repaint is the proper choice for this unit. I really am in a mood to approach them differently than I did years ago, and I think having them be more homogeneous will really be a benefit to the overall look of the group. There is still plenty of summer left, so these may not be on the fast track to completion, but given the simplicity of the figures, they may be done sooner than they would otherwise as I get comfortable with moving easily through sinister and murky cloth bits, and not belaboring them or fretting over color choices quite as much as I am want to do at other times. This unit has been mostly done for months, just awaiting some final touches on the citadel figs, and some putty work on the leader. After too much time away due to health issues, work, and assorted other other things, I finally got them done. 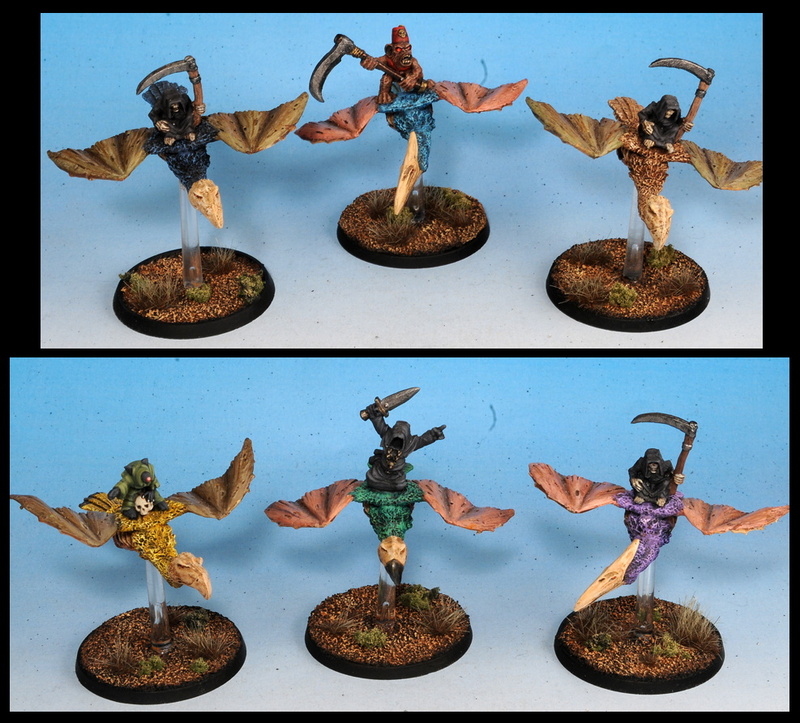 The 6 regular carrion are all standard old Citadel figs. They only made two riders for them so I tried to mix it up a little with a couple swaps. 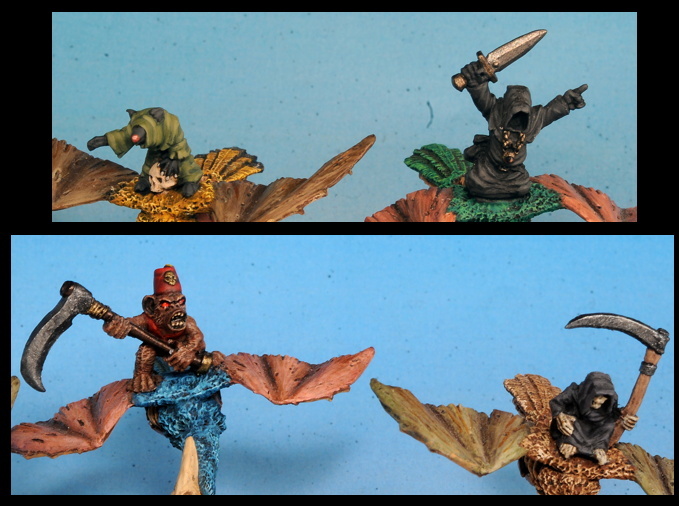 The monkey is from a Reaper familiar pack, and the neat little skaven dude is a bit from one of the more recent sets. 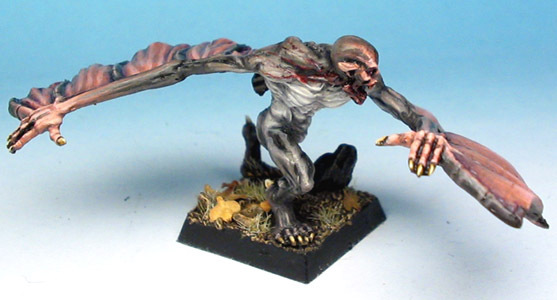 I /think/ he comes with the plastic rat ogre box perhaps, but not entirely sure. 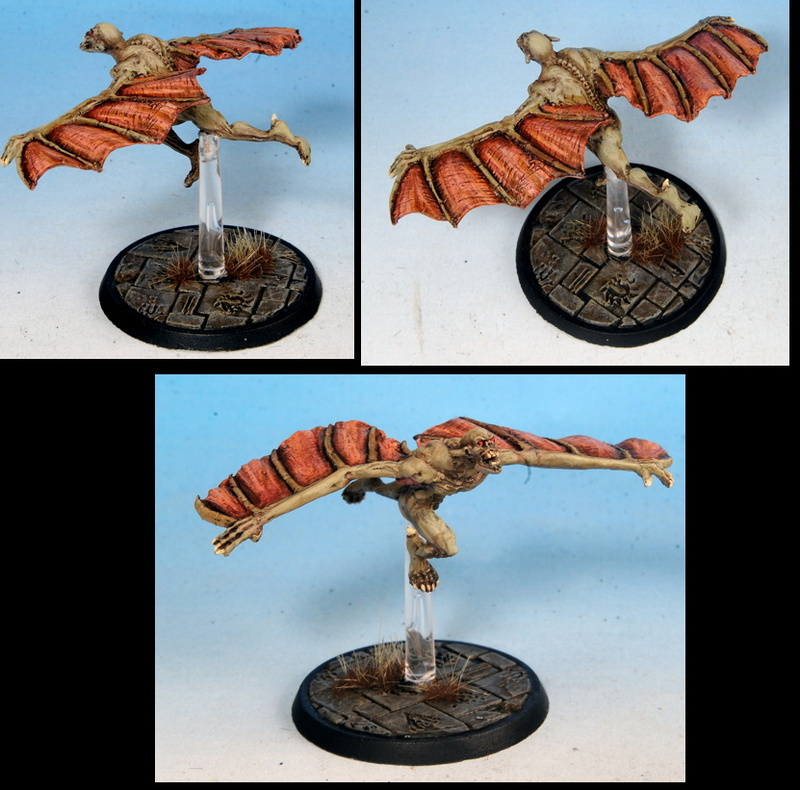 The leader is a heresy vampire that I chopped up and puttied into a flying position. He came out fairly well, and I'm glad I put the effort in and ended up with something unique.